Handcrafted mother doll with traditional woven dress from Peru. 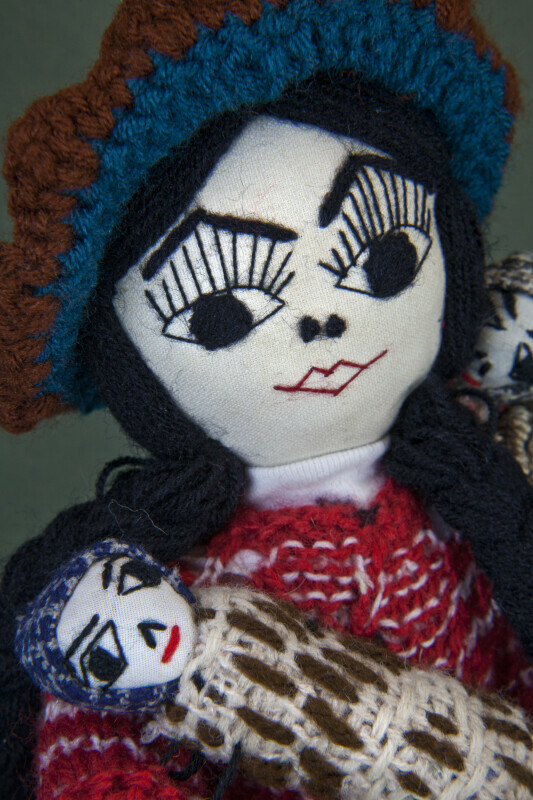 She has an embroidered face and long black braided hair made of yarn. She is wearing a crocheted hat and is holding a baby in her arms. She has another baby strapped to her back. Both babies have embroidered faces and knitted blankets. The Peruvian woman has leather sandals on her feet. The figure is 12 inches (30 cm) tall.